Hello, I would like to ask you few things about legendary transmog. Today i saw a rogue with artifact weapons (daggers) transmoged in to warglaives of azzinoth. I'm surprised that it worked, becouse warglaives are one-hand swords. Is it possible to transmog any type of weapon in to another? 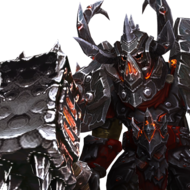 For example can I transmog my two-hand artifact weapons as fury warrior in to warglaives? Sorry for bad english but im very excited about this. 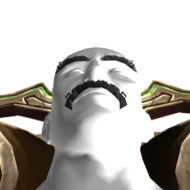 I just don't want to waste my real money buying warglaives and then not beeing able to use them as transmog. You can transmog legendaries using the legendary vendor (which requires the legendary item + 10k gold). I believe you cannot transmog warglaives into two-handed weapons, only to one-handed. The legendary transmogrifier mostly follows the rules of transmog with a few exceptions. The daggers into warglaives. 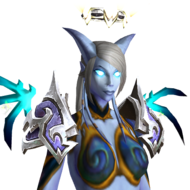 Since maces can mog into swords and axes, enh shamans can mog their artifact weapon into warglaives even though they cannot use swords at all (goes for others classes that can't wear certain weapons too). Edit: also I should mention that very rarely your mog can reset although I'm not sure what causes it. My bow reset my Thori'dal back to my normal artifact appearance 2 times so far since firestorm first added legendary transmog to legion (1 year I think).